Discussion in 'Works In Progress & Finished Artworks!' started by redcore, Feb 21, 2019. 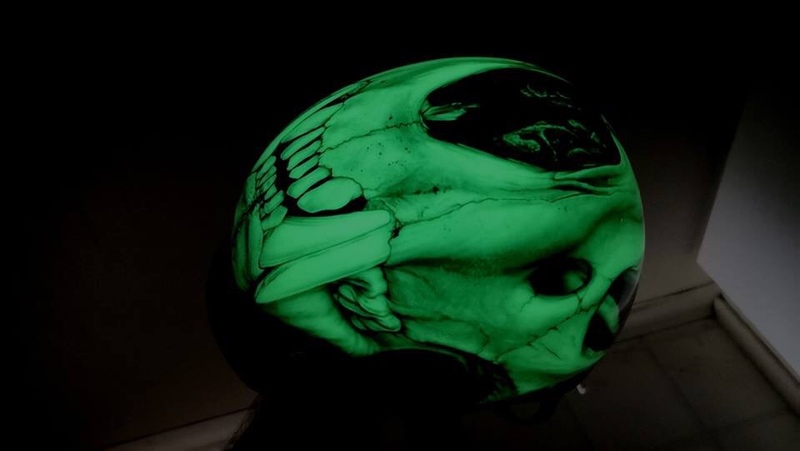 Transparent black on glow in the dark. Power581, basepaint, MeeshellMP and 11 others like this. Very nice. Great idea, execution and effect. That is a great looking helmet. Very cool Redcore, great work all round. Did you clear coat too? That’s a great finish. Yes. First fiber cloth and then 2k clear coat. This is fierce and cool at the same time! Great job! Very creative! I wonder how many snowboarders are going to wipe out looking at your hemet. Excellent job. It looks awesome. Working with resin and fiber glass is such a messy job damn. But final detailing is sooo addictive! Nice Job. 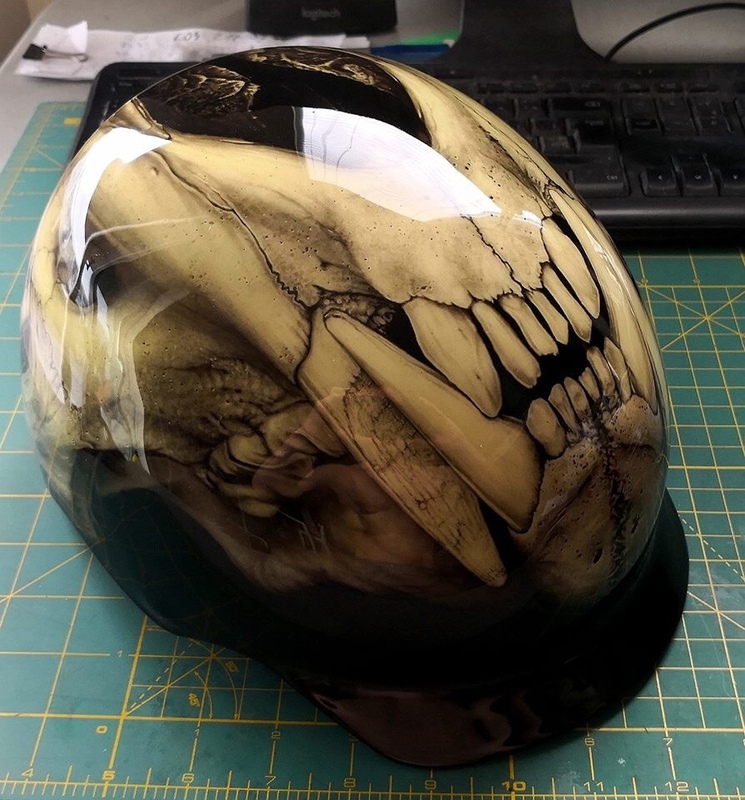 Vey cool helmet! Excellent piece! Stunning work on this. I LOVE it! That is totally BAD AS*!! Definitely a Bone Dome. Yum.